This was Amy’s response when asked to be a featured “Hot Mom”. That is one thing I love about her- she ALWAYS finds humor in a situation! 1.Starting out with a little intro- please tell us about your family, job, and community programs you are involved with. Amy, 40 year old wife and mom. I have two little boys 6 and 3. Currently work at Powerhouse and S.W.E.A.T. Gyms at their Salisbury and Seaford locations. I teach several classes including group cycling, cardio intervals, tabata, core strength and circuit training. What Amy forgot to elaborate on is that she has a husband that is an administrator at a local school district and two boys that keep her running… literally! I remember her posting a comment a few years back that says “a mom of boys works son up to son down” and boy is that true! She totes them around to Karate, Basketball , Little League or anything else to keep them involved! 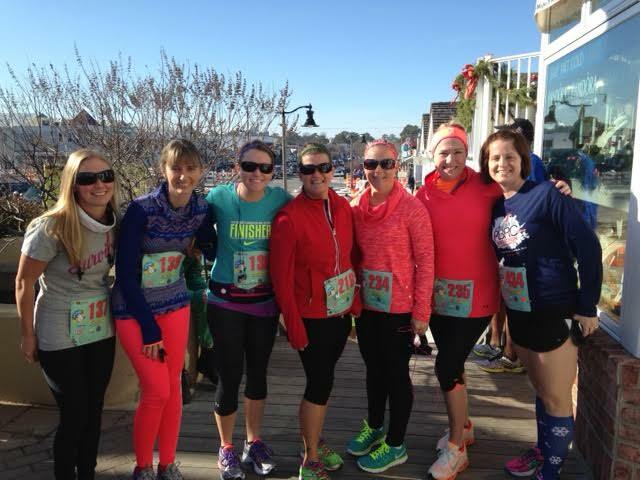 Amy is a true multi-tasker and also leads our Delmarva Moms Run This Town Facebook Group! Amy was a once-upon-a-time Restaurant industry worker and managed a local, busy restaurant. Amy put her career on the back burner when she had her 2nd child and moved into her new career: Fitness Instructor! My favorite fitness activity is running. I find it to be the most challenging, mind clearing and stress relieving. But love doing anything that burns a sweat! 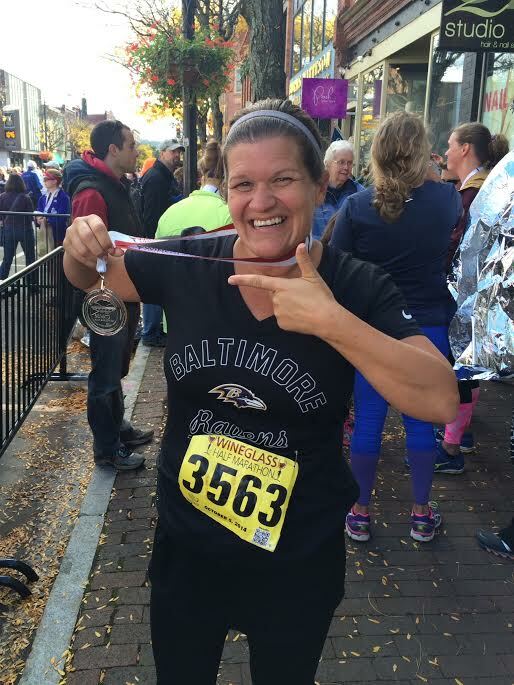 Amy has run multiple Half Marathons, including the Island to Island in Ocean City, Rock-n-Roll Virginia Beach, Annapolis Classic, Rock-n-Roll DC, and most recently the Wine Glass Half in upper New York! Her claim to fame is that she never really trains for her races- just shows up and lets Runkeeper walk/run her to the finish line! 3. How do you manage to fit in your workouts with your demanding work schedule? Luckily for me my job involves keeping people fit. But I still get my personal workout time in. My job depends on fitness so it is important to walk the walk and talk the talk! 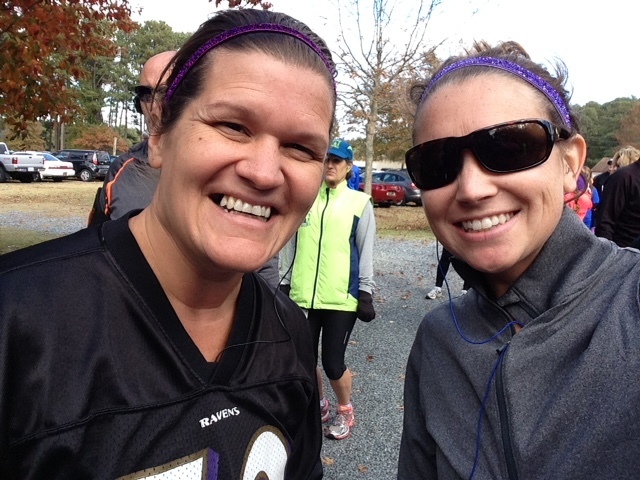 Amy knows that mom secret that most of us other moms know… we are better moms and wives we when get our work outs in- whether it be a run around the neighborhood or even a trip to the treadmill- sometimes you just need that alone time! 4. How do you manage to stay so hot? That is, are there any tools such as fitness apps, equipment, etc that you absolutely cannot live without? Staying hot is full time job!!! Hahaha totally kidding! I cannot live without MyFitnessPal app-I log everything I eat. If I eat it I log it. I have not missed a day in over 1,038 days! Runkeeper is another one. I love comparing my runs and times on there. Physical things that I would be lost without are my ponytail holders and headbands, my Newtons-wear Fate and Kismet brands. WOW! 1,038 days that is crazy! Talk about commitment! 5. 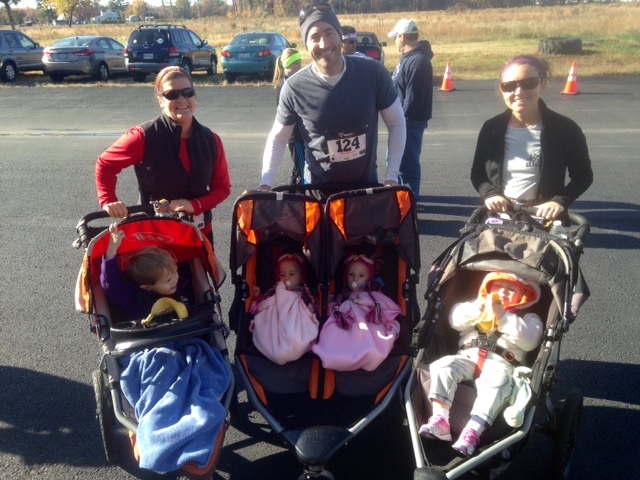 Since you have become a mom, what is your proudest fitness accomplishment? Maintaining a 40 lbs weight loss prior to having children. Having kids makes it hard to juggle everything it your life but your health needs to be priority. 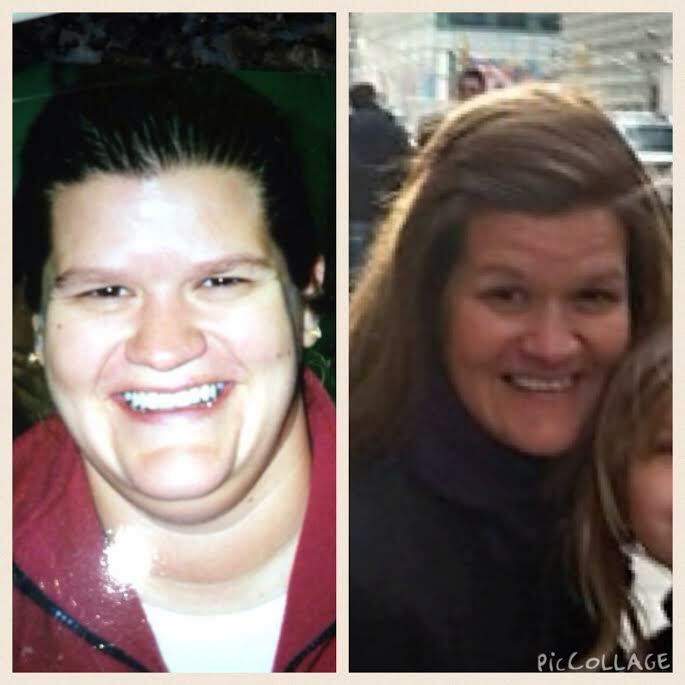 As you can see from Amy’s picture at age 30 (on the left) and 40 (on the right) she has chosen to make a change and stick to it! Congrats on such a remarkable accomplishment and being an inspiration to moms everywhere! I have signed up for two 10 milers-Tim Kennard River Run in Salisbury, MD and Cherry Blossom in DC. 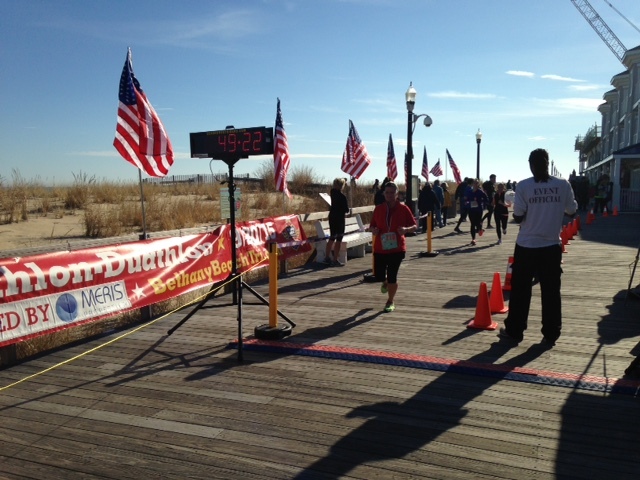 Later this spring I will run the Island to Island Half Marathon in Ocean City, MD. I run but I am not a “fast” runner by my goal is to have a PR for this half. I am looking forward to also running these races with Amy! Typically I serve as her official course photographer but with her goal of setting a PR maybe she will be the one taking pictures of me! As you probably caught Amy is an all-around Hot Mom that keeps it all together! Her love of health and fitness is now her career and she is able to inspire others and her friends to family to make it a priority! 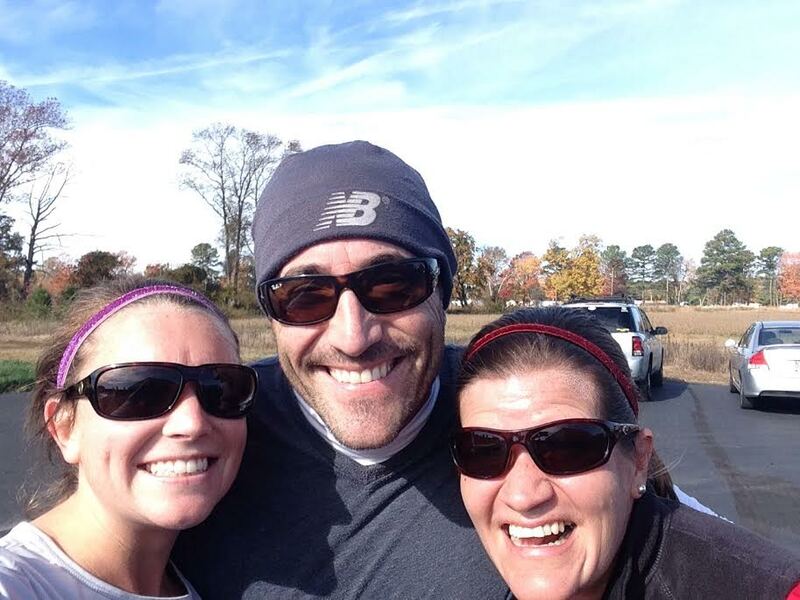 Good luck with your spring Half PR Goal! Run like the wind! Do you know a Hot-Mom that should be featured? Better yet ARE YOU A HOT-MOM who wants to be interviewed? Send us your contact info and we will supply you with the questions! Thanks again for reading week 3 of Hot Mom Check-In! Mymamajourney@gmail.com thanks for stopping by!! Great blog, love it! Love to hear how other moms balance working out (and any personal time) with work and raising children. Thanks! Be sure to check us out every Friday then! 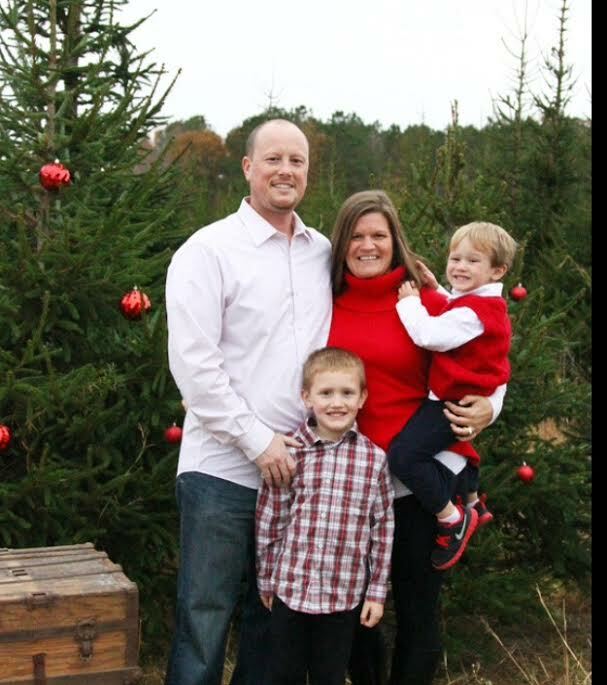 Each week we have a new, busy mom to spotlight! Glad you are enjoying! It has been fun learning about other fitness loving moms!